A certified ACDBE (Airport Concessions Disadvantaged Business Enterprise), LeJeune and Associates, LLC represents more than 50 combined years of management experience in retail environments such as airports, urban retail centers, hotels, offices and mixed-used projects. A certified ACDBE (Airport Concessions Disadvantaged Business Enterprise), LeJeune and Associates, LLC represents more than 50 combined years of management experience in retail environments such as airports, urban retail centers, hotels, offices and mixed-used projects. LeJeune and Associates delivers a wide range of experience in property management, from revenue generation, to leasing and marketing, and the successful completion of on-schedule construction projects. LeJeune and Associates is responsible for onsite management of airport concessions programs, including day-to-day operations and retail management, common area maintenance, marketing and customer service, ACDBE compliance, distribution and delivery, tenant relations, street pricing compliance, minimum wage and benefits standards compliance, and tenant coordination and design. They partner to manage the food and retail programs at Philadelphia International Airport, Dulles International Airport, Reagan National Airport, and Boston Logan International Airport. These combined projects represent nearly 500,000 square feet of specialty retail and food and beverage operations, as well as over $500 million in annual sales. The company is led by Clarence LeJeune, Chief Executive Officer (CEO), and Melwood L. Hannah, Executive Vice President. Clarence A. LeJeune is CEO of LeJeune and Associates, LLC. He has more than 30 years of management experience, operational leadership and management team development. Throughout LeJeune’s career, he has acquired a wide variety of skills applicable to the field of management, operations, retail/merchant development and retention, including the creation of operating standards and audit systems. LeJeune has extensive experience in managing non-traditional retail environments such as airports, urban retail centers, hotels, offices, and mixed-used projects. His experience covers all aspects of property management from revenue generation, to leasing and marketing, and the successful completion of “on-schedule” construction projects. His ability to successfully manage a fast-paced retail environment was apparent when Airport Revenue News (ARN) recently recognized his hand-picked team of management professionals (of MarketPlace Philadelphia Management) with the award for “Best Concessions Management Team” within the “Large Airport, North America” category. Currently he is responsible for the management and oversight of four of the nation’s busiest and most prestigious airport concession programs - The Philadelphia International Airport, Dulles International Airport, Reagan National Airport, and Boston Logan International Airport. These combined projects represent more than 500,000 square feet of specialty retail, and food and beverage operations. Prior experience includes management positions at The Gallery at Market East (Philadelphia, PA), Cherry Hill Mall (Cherry Hill, NJ), Mondawmin Mall (Baltimore, MD), The Village of Cross Keys (Baltimore, MD), South Street Seaport (New York City, NY), Underground Atlanta (Atlanta, GA), Downtown Main Street (Beaumont, TX), and Almeda and Northwest Malls (Houston, TX). 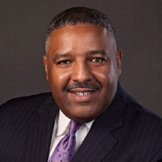 He attended Louisiana State University and is a member of the International Council of Shopping Centers, the Airport Minority Advisory Council, Airport Council International-North America, and Society of Human Resource Management. Melwood L. Hannah has more than 30 years of management experience and possesses a high range of skills applicable to coordinating the successful operation of large-scale office, retail, food and beverage projects. Hannah has extensive experience in property management, including the development and management of capital budgets, operations planning, risk management programs, construction management/tenant coordination, and the implementation of sustainability initiatives. Currently he is responsible for the management of more than 150,000 square feet of an award-winning retail and food and beverage program at Philadelphia International Airport. These responsibilities include managing a team of highly qualified professionals to accomplish established financial and operational goals and objectives. Most recently, Hannah played an important role in managing the successful opening of the Terminal F expansion. This project included the debut of 20 new retail and food locations and a 300-seat food court. He is also responsible for the operational aspects of the firm’s concessions management partnership at three additional airports, Dulles International Airport, Reagan National Airport, and Boston Logan International Airport. Prior to his current position, Hannah worked with the Rouse Company as the Regional Security Coordinator and Director of Operations at Harborplace and The Gallery in Baltimore, Maryland, managing a staff of 65. He was responsible for the day-to-day management the facilities' Special Police Department, and played an instrumental role in developing and implementing the company’s Risk Management Program. Hannah also assisted with the formation of the Baltimore City Downtown Safety Coalition, which worked with the Baltimore City Police Department and other local law enforcement agencies to create a safe and comfortable environment in the downtown area. His prior experience also includes serving as the Director of Security at Cherry Hill Mall in Cherry Hill, New Jersey. There, he was a part of the team that lead a multi-million dollar renovation of the then 38-year old shopping center. Copyright 2018 LeJeune and Associates, LLC.